BBC News is facing cuts of around £80m (US$111m), with its dedicated channel reportedly at risk of being axed, as the pubcaster aims to save £550m by 2021. The firm’s news chief, James Harding, said yesterday that the £80m figure was his “assumption” of the level of cuts. “BBC News must contribute its share to achieve the £150m of annual savings required to reach the shortfall to 2017 caused by the decline in TV household penetration,” Harding said in a blog. The news division, which accounts for around 7,350 of the organisation’s 18,000 staff, has already revealed £5m of savings but is now braced for further cuts. 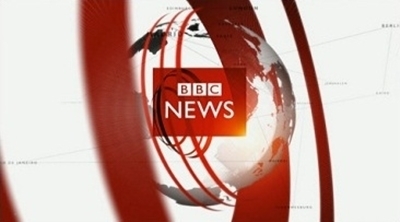 The BBC News channel, as well as radio stations and local news services, are reportedly at risk, although the pubcaster said no decisions or recommendations had been made. Meanwhile the BBC Trust, which oversees the pubcaster’s operations, is set to be axed following a government-led review. The review, which is part of the royal charter negotiations and looked at how the BBC is governed and regulated, concluded that regulatory oversight of the broadcaster should be passed to communications regulator Ofcom. Sir David Clementi, who led the review, said that a “fundamental reform” of the system of governance and regulation for the BBC was required. The BBC is in the midst of negotiating its royal charter, due for renewal at the end of this year, and is also dealing with the estimated £650m annual cost of providing free TV licences to over-75s by 2020.